MaryAnn Francis is an expert in the field of communications with an ardent passion in new technologies. Currently employed as the College’s Public Relations manager, she leads a team of two Public Relations Officers and a web administrator. They are responsible for the complete public relations portfolio in the College ranging from strategic marketing, events management, international relations, conceptualisation and production of publications as well as translating scientific research into a community context. Being passionate about new technologies, the College of Health Sciences is the only one at UKZN to have its own active Facebook and Twitter accounts as well as an online chat feature. 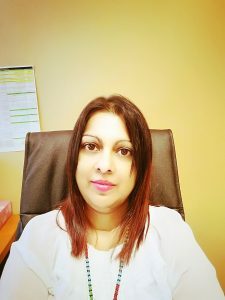 She began her career in the Department of Education as a Locum School psychologist in a School for Mentally Challenged learners. She then obtained permanent employment in the Department of Labour as a Senior Vocational Counsellor providing career guidance to members of the public and high schools in disadvantaged areas as well as assessments of mentally challenged unemployed people for either the open labour market or sheltered employment. She was responsible for the coordination of the selection and continuous mentorship of South Africa’s first Learnership project as funded by DANIDA in the late 1990’s and led the teams up skilling programme for companies engaged in retrenching of staff. She hold a Bachelor’s degree with majors in Psychology and Criminology, an Honours Degree in Psychology and a Master’s Degree in Development Studies. Her dissertation focused on Understanding how the socialization of women in society impacted on their Engineering studies. She is currently enrolled for the UKZN Leadership Development Programme. Lunga Memela is a Public Relations Officer for the College of Health Sciences at the University of KwaZulu-Natal. He holds an Honours degree in Cultural and Media Studies following which he obtained his Masters in Art, Literature and Society at Maastricht University in the Netherlands in 2014 where he did an internship with the organisation, ART2Connect, evaluating its role as a mediator between artists and audiences in the Meuse–Rhine Euregion. Lunga is a 2008 recipient of the Golden Key International Honor Society Award and he intends to further pursue his passion for advertising, photography and travel writing. SAPA – General Reporter and Weekend Sub-editor. Fhumulani Andrew Liabara is the Web Administrator for the College of Health Sciences within the Public Relations Office. His Interests are currently in the development and maintenance of websites. Fhumulani has a growing passion of new trends within the IT world as a whole, more specifically Cloud Computing and the Internet of Things (IoT). He hold a BSc. Honours Computer Science and BSc. Computer Science & Info Systems degrees. His research interests are in line with Information Systems Security and Cloud Computing. Lihle Sosibo started her career as a peer educator at Love Life and that is where her passion for public relations, community engagement and science communication was generated. Sosibo holds a Management B-Tech degree and a Public Relations Management Diploma from the Durban University of Technology. She also holds an NQF8 Professional Certificate in Government Communication and Marketing from the University of Witwatersand. Lihle is passionate about writing, specifically science writing and media relations. She has served on different communication portfolios, in the private and in the public sector. She has developed vast competencies in public relations, community engagement and corporate marketing. Sosibo has an incomparable sense of humour and loves life.